Don’t have enough time for a full workout? That isn’t a problem when you have access to great plans like these! Shorter workouts are a must to have in your arsenal. Some days, time just runs short on your schedule, especially around the holidays. You still want to workout, especially to help fight against the winter bulge. 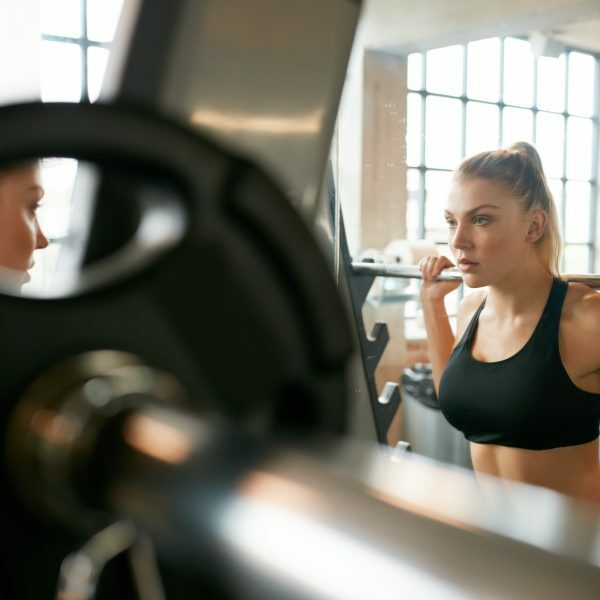 So the answer is to get to the gym and crank out one of these fast-paced routines that burns calories and works your muscles. Yup, these workouts are designed around being done in 20 minutes or less. That means moving quickly, not wasting any time, and getting it done. Of course you can extend the time on any of these simply by adding more sets, including ab work, or doing some interval cardio training. Rest 30 second between sets. The first set is a warm up and the other sets are all with your work weight. Aim for the high end of the range of reps because with the short rest period it will tax the muscle. Work to failure on all work sets. This circuit routine can be done with a pair or two of dumbbells. Do the entire circuit then rest one minute. Do the entire circuit 3 to 4 times. Do this group as supersets. Take the first two exercises and superset them, rest a minute or two and then do the second grouping. Work all sets to failure. You can speed up many training sessions by taking ideas from above and extrapolating on them. Removing isolation exercises, doing things in a circuit, using supersets, and just cutting back on total sets are ways to transform existing workouts. Also you can look at varying the way you group your body parts when faced with shorter timeframes. Working the upper body circuit on one day followed by lower body the next, and then doing some high-intensity interval cardio on day 3 has basically worked your entire body in about an hour. Use the upper body blaster on day 4 and then go back to interval cardio work and look back after the week; you should feel pretty happy with covering all the muscles, burning fat, and staying in shape within a very limited time. Now you don’t have any excuses next time your time is short; so get in, get out, and get on with it!